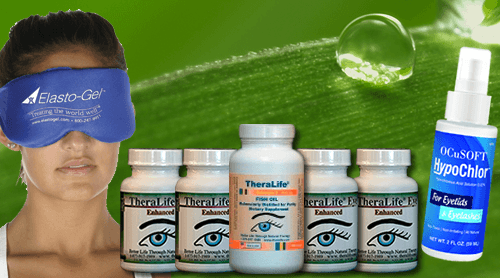 The contents of the TheraLife® site, such as text, graphics, images, information obtained from TheraLife® licensors and other material (“Content”) contained on the TheraLife® site is for informational purposes only. The Content is not intended to be a substitute for professional medical advice, diagnosis or treatment. Always seek the advice of your physician or other qualified health provider with any questions you may have regarding a medical condition. The Content is protected by copyright under both United States and foreign laws. Title to the Content remains with TheraLife®. Any use of the Content not expressly permitted by these Terms and Conditions is a breach of these Terms and Conditions and may violate copyright, trademark, and other laws. Content and features are subject to change or termination without notice in the editorial discretion of TheraLife®. All rights not expressly granted herein are reserved to TheraLife®. TheraLife® is not responsible for the content of linked third-party sites, sites framed within the TheraLife® Site, or third party advertisements, and does not make any representations regarding their content or accuracy. Your use of third-party websites is at your own risk and subject to the terms and conditions of use for such sites. You agree to defend, indemnify and hold TheraLife®, its officers, directors, employees, agents, licensors and suppliers, harmless from and against any claims, actions or demands, liabilities and settlements including without limitation, reasonable legal and accounting fees, resulting from, or alleged to result from, your violation of these Terms and Conditions. TheraLife® is based in California, in the United States of America. TheraLife® makes no claims that the Content is appropriate or may be downloaded outside of the United States. Access to the Content may not be legal by certain persons or in certain countries. If you access the TheraLife® Site from outside the United States, you do so at your own risk and are responsible for compliance with the laws of your jurisdiction. The following provisions survive the expiration or termination of these Terms and Conditions for any reason whatsoever: Liability, User Submissions, Indemnity, Jurisdiction, and Complete Agreement. You expressly agree that exclusive jurisdiction for any dispute with TheraLife®, or in any way relating to your use of the TheraLife® Site, resides in the courts of the State of California and you further agree and expressly consent to the exercise of personal jurisdiction in the courts of the State of California in connection with any such dispute including any claim involving TheraLife® or its affiliates, subsidiaries, employees, contractors, officers, directors, telecommunication providers and content providers. We hope you find the TheraLife® site helpful and convenient to use! Questions or comments regarding this TheraLife® site should be directed to info@theralife.com or via U.S. mail to TheraLife® Inc. 101 N. First Street, # 343, Los Altos, CA 94022.